This is a must-read book for trade unionists and left activists. Though it deals mainly with the American labour movement and conditions there, its main points and recommendations easily apply in Ireland. 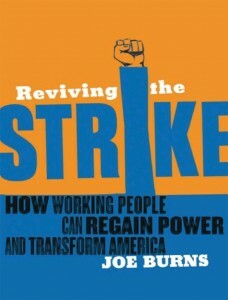 The author, Joe Burns, is a union lawyer, negotiator and activist for many decades, most recently involved in the airline industry and health services. He is adamant that the movement needs to return to the strike as the essential part of union revival, to pull the movement out of the crisis of declining membership and power and pull our class out of poverty and desperation. 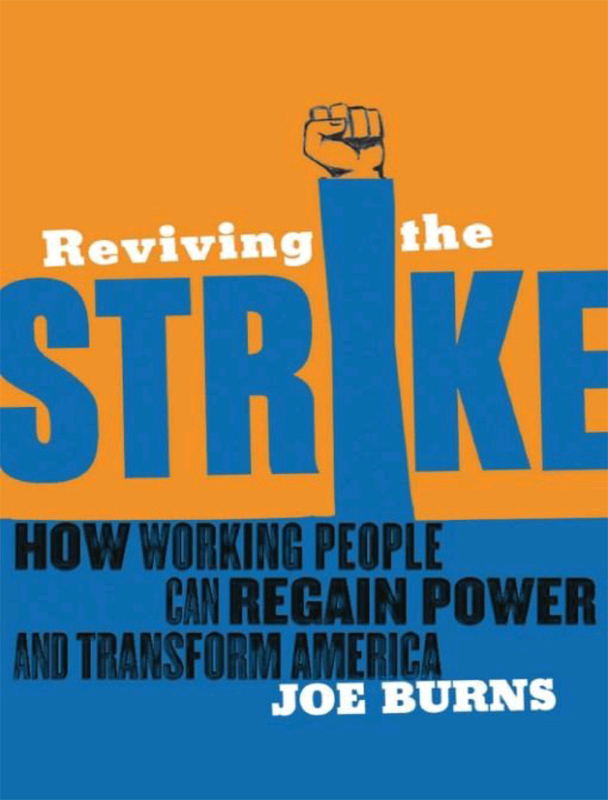 In this book he describes what he means by strike and explains the traditional form of strike prevalent within the movement in the 1920s and 30s and immediately after the Second World War, at a time of massive union growth and increased power for working people. The traditional strike, and the workers who undertook it, aimed at stopping production, stopping the business from functioning. This was done with pickets, which blocked scabs from replacing the workers on strike or crossing the picket line, or with factory occupations or the sit-down strike. Whichever way it was done, the workers knew they were stopping the factory producing or the shop from opening, whether they were ceasing to handle goods in solidarity or refusing to co-operate with businesses where there was a strike, with the aim of hurting the employer economically. Not only did the traditional strike strengthen the demands being made but it showed workers the power they possess within society. In addition to this it gave practical meaning and expression to solidarity. Workers would engage in solidarity strikes and actions to support their fellow-workers elsewhere. This traditional form of strike gave meaning and power to collective bargaining; without it, the author argues, unions are powerless. The book describes the host of legal and legislative attacks on the strike that have since been introduced—some even welcomed by the movement. The contradiction that Joe’s book identifies is that, as the movement has sought legislation to establish and formalise collective bargaining, this moved the unions away from work-place power and into a dependence on process and on union officials. The state—as this crisis has reminded us all—is a class state. It exists to secure the interests of capital and to maintain its system of production. Therefore, legislation by the state, even that won by unions, is fundamentally conservative. It established a regulatory relationship of control over workers, designed to pull the movement away from struggle and into formal processes that have made many aspects of the traditional strike illegal. While concentrating on the history of the strike and its importance to the movement, the book also provides a general critique of other renewal strategies that are in vogue but that ignore the fundamental importance of the strike. Joe suggests that, despite two decades of activity and billions in workers’ money being pumped into organising, corporate campaigning, political leveraging, and other non-confrontational strategies, this has failed to build power or even numbers for the labour movement in the United States. What about Ireland today? Will we repeat mistakes made in the United States, or will we commit ourselves to a renewal strategy, with the strike as an essential weapon and the means by which we grow and strengthen the movement and our class? 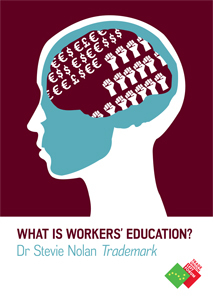 In Ireland, both the strike and other forms of action are primarily controlled by the Industrial Relations Act (1990), which limits the definition of a trade dispute to disputes over employment or terms and condition of employment, making political or solidarity strikes impossible. It also limits picketing to peaceful acts, making the blockading of scabs illegal, and greatly restricts secondary picketing (aimed at employments not directly involved in the dispute but that may provide leverage for winning the fight). The strike has also come under more recent attack from the EU Court of Justice, which has introduced “proportionality,” and its definition of a proportionate response, into the equation. Just as in the United States, the legislation here is really designed to prevent workers taking militant action, providing for a safe withdrawal of labour as a form of protest but making actions to stop production, or to economically hurt the employer, illegal. So, how can we revive the strike today? Firstly, there is no point—indeed it is damaging—to make irresponsible and hopeless calls for national strikes over political issues when no strategy exists for doing this. This is opportunistic and used only for short-term political gains, and it damages workers’ morale and organisation. But reviving the traditional strike, which aims to stop production, increase solidarity, and build class-consciousness, has to be seriously considered. The movement must accept that the law is not our law, and therefore operating outside the law can be the right thing to do. Indeed we would not exist as a movement if millions of workers around the world had always acted over the years within the law. Reviving the kind of militancy and awareness needed will not be done overnight, and provisions have to be made for protecting the assets of the movement, the pooled collective resources of workers, from being lost in litigation. But if the movement is to survive, a strategy must be agreed for moving in this direction. Lobbying and soft campaigning, while necessary, won’t save the movement. Workers taking action, like the Greyhound workers last year during their lockout, at least provides us with hope that we can revive the strike as an essential component of organising and union renewal.